August 2015 | Smile Angels of Beverly Hills - Bruce Vafa DDS. In addition to visiting the dentist regularly, people should learn how to properly care for and maintain their oral health. Two of the primary ways to maintain a healthy mouth is brushing and flossing teeth correctly. Proper brushing and flossing can enable your teeth to last for years. Not only do these actions keep the breath fresh, they also have been shown to prevent tooth decay and cavities. Since these are daily routines, many people go through the motions and complete these activities without a second thought. In the midst of the morning rush, brushing and flossing are frequently done incorrectly and ineffectively. Dr. Bruce Vafa, top Beverly Hills dentist, recommends that people learn and use the proper techniques of brushing and flossing. The benefits of brushing and flossing are experienced when done correctly. It is just as important as visiting the dentist twice a year for routine check-ups. 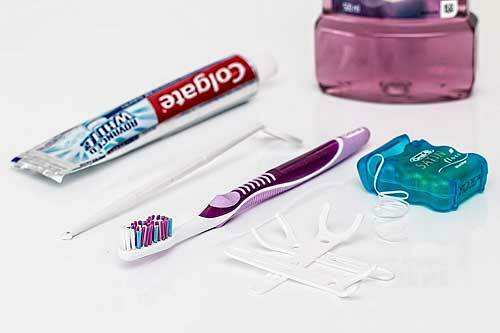 Dr. Vafa recommends the following tips for successful brushing and flossing. The American Dental Association stated that tooth decay causes American children to lose millions of hours of education every year and causes pain in children as well. The ADA also stated regular dental exams are just as important as children receiving vaccinations and shots. The American Dental Association and the American Academy of Pediatrics suggest children should receive regular back to school dental exams. Los Angeles Children Dentist, Bruce Vafa DDS. offers a gentel touch for all your children dental needs.